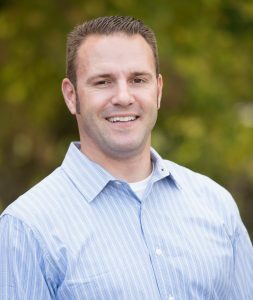 Peter came to Colonial in 2014, after working for a large insurance company as a Senior Adjuster within the commercial claims areas. Prior to that he was a Property Claims Adjuster with another large insurance company. He is currently the Assistant Property Supervisor and Marketing Supervisor, working closely with other company leaders to meet with current clients and business prospects, as well as oversee several Property Adjustment areas. Coming from very large insurance corporations, and newer to the independent adjustment company field, Peter is very enthusiastic and motivated to be on staff at Colonial, and has quickly risen to be a member of the Leadership Team. Very much a team player, he participates in company goal setting and strategic planning, company growth initiatives, and client relations efforts. Peter grew up in Lisbon Falls, Maine, and greatly enjoys the Maine lifestyle and spending time with his family. He participates in a variety of sporting and outdoor activities including golfing, wakeboarding, cross-fit, hiking, and hunting.